Cannabis marketing is a necessary solution, which is specially designed to provide marihuana businesses with all the tools as well as tactics that are useful for their business’ growth. It is not only important for a new business, but for an experienced one as well. With the current status of cannabis still in flux, lots of start-ups find it a difficult task to navigate the tangle of advertising restrictions, that are placed by state legislators on the new business owners. It is not an easy task to build a good reputation as well as national awareness, because of different laws and federal restrictions. So, what can you do to raise your brand awareness and build a big audience of cannabis consumers? The answer is simple – apply for Cannabis Marketing specialists – Winning Marketing Strategies. Start You Cannabis Marketing Campaign Today! Online Cannabis Marketing is a highly important thing that can push your business up. There are many services, which have a big impact on your business growth as well as its further success. 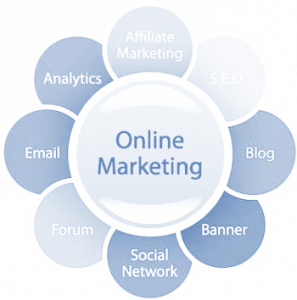 Online marketing is a motive power that has most you need to succeed in gaining customers and organic traffic. In comparison with the other industries, in the cannabis industry, most of the traditional forms of advertising are banned. Thus, it is not easy to promote a company that is specialized in selling cannabis and cannabis-based products as it is in most of the sectors. Thus, you need a competent, qualified and creative team of experts to get your message out. Marijuana marketing is an important strategy that is necessary to build your company’s Reputation, by using lots of efficient internet tools, strategies, and solutions. When it comes to cannabis online marketing, Website Design and Development play an important role. A website design provides an online presence on your weed site that is crucial to succeeding in your business’ growth. Thanks to your medical marijuana dispensary, your potential customers can look for information as well as learn about the products that your company sells. You have to think about your Search Engine Optimization or SEO (the process of increasing exposure in the organic search results for the necessary keywords) as well as Search Engine Marketing or SEM (process of receiving online exposure with the help of keywords related to your business) campaigns. It is very important to get success in the highly competitive marketplace, as, without necessary cannabis marketing solutions, your business will have a very high chance of failure. 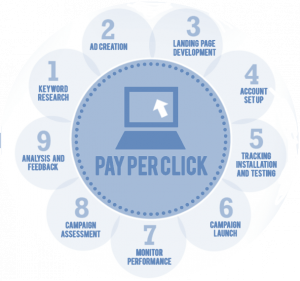 In addition to this, you have also to think about Pay-Per-Click (PPC) service – an ad that displays on search engine pages (you pay only when the user clicks on it and moves to your landing page or website). A good online marketing strategy should also include Email Marketing (a necessary tool to inform your current customers with some news, coupons, and sales, offered by your company). Marijuana Social Media Marketing is a widely used solution to spread your brand awareness. If you do not speak to your audience through social media platforms like Twitter, Facebook, Instagram, LinkedIn, and Pinterest, you are missing out. SMM is necessary to bring a great success to your business growth. It is useful for driving sales and leads as well as for creating devoted brand advocates. Content Creation for the cannabis industry is a vital part of any website. Content Marketing is a strategic approach focused on creating and distributing high quality as well as relevant content that is specially designed to attract readers’ attention and, as a result, to drive profitable customer action. Mobile Marketing is a digital marketing strategy focused at reaching a target audience on their tablets, smartphones, and other mobile devices, through the websites, SMS and MMS, email, social media, and apps. Build My Growth SEO Strategy for Cannabis Store! Like all businesses, cannabis brands also face difficulties in finding loyal customers in a crowded marketplace. Today, it becomes harder to attract loyal customers. We believe in a deep collaboration with our clients. It is necessary to make medical cannabis shop unique, and much better than the competitors’ websites. We take into account all the requirements as well as preferences of our clients to provide them with the best cannabis website design their business deserves. We ensure a cannabis-friendly website design so that the user will be able to find what he is looking for in a fast, easy and convenient way. Our web design service is professional as well as an innovative approach that will positively work on your business growth and development. While promoting your business it is highly important to consider audience intent. We know for sure, that a good website design is one of the best tools that may help you to increase your customer base and site awareness in search engines. That is why we will do our best to optimize your cannabis or cannabis-based website for maximum engagement, increase conversions and do the best to improve your profits. Although a good design is an advance cost, your online marijuana dispensary is the most economical way to compete on equal terms with well-capitalized partners. Moreover, we can help our clients to have a clear understanding about how their competitors are using web design to promote the products they sell as well as what standards are used for the web engagement of weed industry. Our clients can easily monitor the traffic on their websites. Everything is transparent, so you will always be able to monitor what is changed and improved on weed dispensary website as well as how it helps your traffic growth. It should be said that SEO audit is a necessary tool for search engine friendliness. Thanks to the SEO audit, cannabis weed shop will be checked against a checklist. It will give you a clear understanding of what you have to fix or change in order to improve the performance of the website in search engines. For cannabis and cannabis-related websites, SEO audit is an integral part of a website’s success. Competitive Analysis is a field of highly important strategic research, which leads in an estimation of all the weak as well as strong points of current and potential competitors. It provides both defensive and offensive strategic contexts in order to identify as well as foresee current and potential threads and opportunities. It is an essential tactic, which helps to find out what your competitors are doing, how they are developing their business, and what kind of thread they present to your financial well-being. Keyword research is the process of searching popular (most widely asked) terms that the Internet users type into search engines and including them into cannabis weed shop content. It is highly important, as it helps your content to appear higher on SERP. It is a fundamental practice in SEO. It also involves a choosing topic for your content, focused on target keywords you want the article/blog post of your website rank for. It provides a better understanding of how high the demand is for certain keywords, and how it will be difficult to compete for those terms in the organic search results. In order to have a winning online marketing strategy, businesses need authoritative, high quality and relevant content, which is specially tailored to raise their brand awareness. Our WMS content team will do its best to optimize your existing content in order to increase weed shop ratings and organic traffic. Moreover, we specialize in featured snippet optimization. If you need, we can also write a unique, high quality and SEO optimized content to better inform as well as convert your potential customers. In addition to this, our digital asset team can promote linkable assets (videos, infographics) to optimize content marketing. Our team of experts can also combine the creation of weekly, biweekly or monthly blog posts with SMM in order to increase community engagement. Today, links are the best way to determine the quality of a webpage. They determine Google’s go-to ranking signals. Link building is one of the most important skills in SEO. It combines a number of skills that are necessary to increase search engine traffic. Thus, if you a cannabis or cannabis-based website owner, you need consistently secure good links from relevant websites in order to promote cannabis shop traffic. We pay special attention to link building, as if your cannabis-based website does not have links, it will not get any traffic. Site migrations refer to the process when the website undergoes substantial changes in areas. It can significantly change the website visibility in search engines. However, many website owners make a big mistake when they perform their site migration (e.g. when they change their domain name or implement HTTPS). That is why we help our clients to cover all the SEO bases to make their website migration as easy and smooth as possible. Social media marketing (SMM) is necessary if you want to succeed in cannabis marketing. Today social media is highly popular. Many people use Facebook, Instagram and other social media to communicate with their friends, relatives, colleagues, etc. Moreover, through social media platforms, people find out lots of useful information as well as news. It is not a secret that people use Facebook not only for communication. They find useful information or even do their shopping there. Thus, if you have your own business and want to promote its development, you need to think about all the possible ways, which will help you to realize your plans. SMM (Social Media Marketing) is one of the first assistants you have to think about. Our team of experts will do their best to inform social media users about your brand, and, what is more, attract them to visit medical cannabis store. Social media strategies play a very important role in content marketing performance. It allows content to build brand awareness, reputation, influence prospects of further growth of the website, and attract more visitors who will back to medical weed store for purchase. Moreover, it is a great decision, which will help you to build and nurture relationships with your current customers. 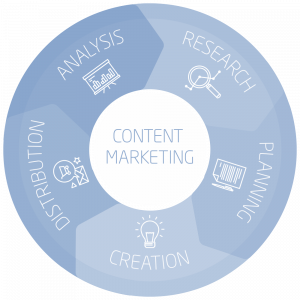 Our team of content experts and strategists will provide your company with great content planning which will work on the purpose of your business growth. In order to achieve success in your Social Media Strategy, it is crucial to align it with your content marketing plan. We evaluate as well as form the key elements of your content marketing plan to ensure an efficient cannabis content marketing strategy. Social advertising is advertising, which relies on social networks and social information in delivering marketing communications. Lots of social advertising use a particular interpretation service to gather social information, establish relationships with consumers and delivering communication. Social advertising leads in paying social media company to display your content. It is necessary for cannabis brand. We’ll provide your cannabis store with a unique strategy, which will efficiently work on weed store traffic, as it is one of the most effective ways to connect with the target audience. For social media advertising, we come across various strategies. When it comes to cannabis social media advertising, Facebook is of special importance. WMS provides a top-quality Facebook advertising of your cannabis brand. We will design a great Facebook page that will reflect a mini-version of your website. 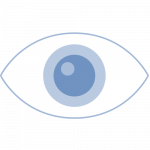 We’ll post your location, hours of operation, news updates, images, articles, and more in order to attract your target audience and encourage them to visit your website. The Instagram platform is highly recognizable among the cannabis community. As a cannabis marketing company, we recommend all the cannabis business owners to set up an account on Instagram. We will pay special attention to sharing beautiful pictures of your cannabis-based products, as well as your business in order to reflect your brand and increase its awareness. LinkedIn is also known as the professionals’ social media platform. With the assistance of this social media, we will post your business updates, news, and find business communities related to your cannabis-based niche that you could potentially collaborate or have deals with. As soon as you created social media profiles, you need to interact with your audience constantly. Do you want to be actively engaged with your target audience? If so, then you need community management. If you want medical marijuana store followers to be engaged with your cannabis brand, you need an expert social media community management. We offer great community management service: we nurture, build, and interact with your community. You need to know that community management is highly important to create relationships with your target audience in order to keep it interested in your business. It is not something new that social media networks like Facebook or Instagram are highly popular nowadays. It proves the fact that Social Media Optimization and Social Media Measurement are in a position of the top priority for businesses. Thus, the trend of SMO (Social Media Optimization) grows much as SEO (Search Engine optimization) did several years ago. Our social media marketers will track brand engagement metrics in order to have a clear understanding of how efficient the content you share is resonating with the target audience of your customers. Researches have shown, above 70% of people who are looking for a service nearby try to visit a business the same day. Approximately 25-28% of them end up their searching with a purchase. Therefore, if your business is focused on local customers, then local SEO is what will really help you. So, whether you are an owner of a hydroponics store, dispensary, or a co-op, local SEO will bring a relevant traffic to your website. If there is a necessity, our team of experts will provide high-quality content that will perfectly work on your local SEO. Quality content, as was said above, is a highly important thing that is necessary to attract the foot audience to your cannabis-based website. High-quality content should be a part of every SEO strategy. With the help of content, your target audience will perceive you as well as your company as the best choice to satisfy their needs. That is why our clients perceive us as the best experts in writing blog posts. Landing page – where the visitor “lands”, is designed for marketing or advertising campaign. 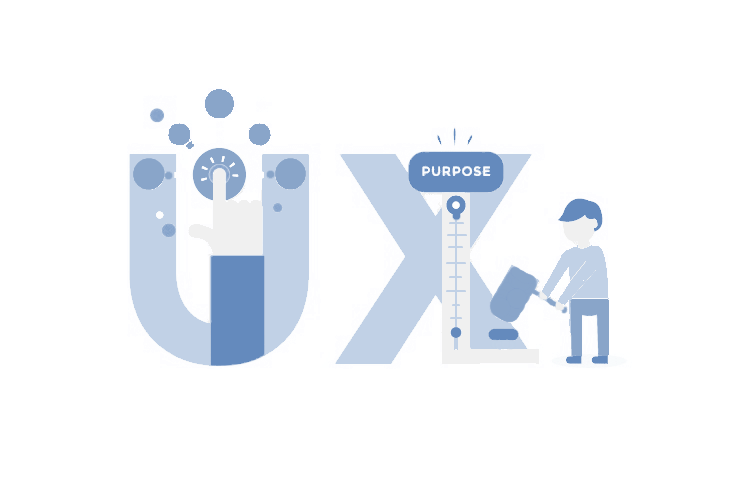 The main purpose because of what landing pages are designed is for a Call to Action (CTA). Simplicity is what makes landing pages the best option for growing the conversion rates of the Google AdWords campaigns. The main goal of a landing page is to convert site visitors into customers. 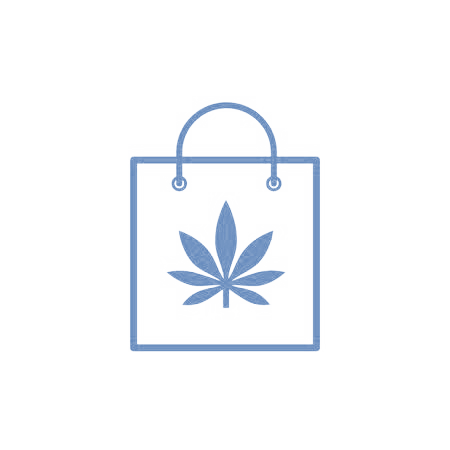 If the goal of your cannabis-based page is to obtain a sale, it will have a link for the visitor to click, sending them to a shopping cart. We will provide you with a great landing page, which will help you to increase conversion rates. Google My Business allows people who are searching your or similar to your company to see its information in Google, Google Maps and Google Search Engines. We use Google My Business to help our clients and develop their business in a unique and efficient way. Google My Business is easy to update. Moreover, it will help you to stand out against a background of your competitors. Thanks to Google My Business, you can share a useful information with your customers as easy as A, B, C.
Users, who are looking for a company on Google, will easily be able to find the information they need, (e.g. the time of work or the address of your company), as it will immediately appear in the search results. It will also allow you to manage customers’ reviews and get custom insights on how customers interact with your business online. Reputation management is one of the most, if not the one, important issues each business owner has to think about, especially if you are a starter and people do not know your brand. It is a highly important thing, which will help you to win people’s confidence as well as tell them about our company’s name. It is a highly important factor, which will play a big role in attracting customers to visit medical cannabis shop and, what is more, order your products. We provide a great reputation management, thus, you may be sure your company’s reputation will be under the reliable and safe control of our team. We will promote your company’s honesty, implement customer experience management (CEM) practices and engage with local customers online. Company name and phone number. Company name, phone number, and address. Company name, phone number, address, and website. Company’s name, address, and phone number are the most important parts of the local citation (known as NAP). WMS will provide you with efficient marijuana local SEO. With the help of quality local citation, marijuana dispensary will experience an efficient influence of search engines rankings as well as positively influence your consumers. Boost Local SEO for Your Cannabis Shop! Email marketing is considered to be one of the strongest cannabis marketing channels. It can be done only with an effective email marketing strategy. We pay special attention to it, as it really worth spending time on. If you have a PDF document and want it to convert into an email template, that we can easily do it. Be sure, all the details will be covered! In order to achieve your goal and find hundreds of ways to achieve your brand, we create emails that look great at any device. If you are too busy with your business and you have no time to tinker with templates than you need a professional assistance to help you with this issue. Our team of experts offers custom design services at an affordable price. With the help of a customized template, which perfectly fits your cannabis brand you are able to create a great brand experience for your current customers as well as potential clients. Whether your dream, purpose or vision is, we are here to assist. We do our best to provide your cannabis-based website with the best landing page practice. The landing page of the cannabis weed shop should promote your offers. We know some common rules of thumb, which will definitely increase the chances to make your landing page to become a winning one. For a landing page design, we include? Copywriting is like a glue, which holds SEO, content writing, and website design all together. You need to know that writing a great copy enables you to convert the target readers of cannabis shop into customers. It is the process of writing copy, which sells products on marijuana shop and convinces prospective customers to become the buyers. It works like one powerful and well-trained salesman who is hired to reach all of your customers. Our team of content writers can provide you with high-quality content, which will definitely increase your brand awareness. Through email marketing, the process of conversion optimization becomes more efficient and faster. It increases the percentage of website visitors who take the desired action on medical cannabis store. Thus, if your goal is to sell the products offered on your cannabis-based website, the primary goal, known as a macro-conversion, will be to attract the user to make a purchase. Micro-conversions are also widely used. They are smaller conversions that happen before a user completes a macro-conversion (purchase a product). Micro conversion is the process when a user signs up to your website to receive emails. Our list management service can help you to reach your target audience by identifying key demographic as well as firmographic segments and then aligning your offer with the most efficient and perspective leads. Email list contains the list of email addresses, individuals or subscribers receive a mailing at those addresses. To make a long story short, list management will be very helpful for you, as we process subscribes and unsubscribes, bounce management, etc. Be sure, it will be one of the most valuable assets for you. A distribution list is a feature of an email client program, which allows maintaining a list of subscribers’ email addresses and sending messages to all of them at once. Sending mails via email option or electronic mailing list is performed for one-way traffic, but not for communication (in comparison with an email list, a distribution list does not allow the members of the group reply to the distribution lists’ name). We provide email tracking, so you can easily monitor the email delivery to the intended recipient. It is a convenient way if you want to know whether recipient received your email or to check whether he or she clicked on the link or not (you will also know when your email was opened the last time as well as how much it was opened). 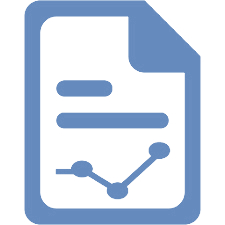 We can optimize your email marketing campaigns with date-driven reports. Email reporting is highly important for the growth of your business. We will provide you with a full range of campaign performance reporting, which will show you a clear picture of your automated campaigns. Reporting in necessary for measuring your statistics for all the automated email flows. Thus, you as our client will be able to track the effectiveness pf the email marketing process – see how much revenue your emails have generated as well as how many orders were made. Request Email Marketing For Marijuana Businesses! We will provide you with a content website audit, which will markedly improve your profits. Website content audit will help you to define your strengths and weaknesses in order to adapt your work to current goals. We will deep into the content quality in order to prioritize all future marketing activities, necessary to define what should be changed or improved in your cannabis store content. Content marketing strategy is the key element of weed dispensary success and its further growth. Content strategy is the process, which includes the creation, publication, and governance of the content on our client’s website. We will help you to grow an audience and increase your revenue, by creating an efficient and reliable content strategy, which will outline your key business and customer needs. A good content marketing plan is necessary to get a leg up on the competition. Thus, if you have a trouble content planning for the upcoming year, then we are ready to assist. Our team of experts provides an efficient content marketing strategy, focused on creating as well as distributing your legal marijuana store content in order to attract and retain a clearly defined audience. Our goal is to create quality content which will drive profitable customer action. Optimization means making something as efficient, functional or productive as possible. Content marketing optimization is not the exception. Content marketing optimization refers to making the content on a legal marijuana shop more accessible for search engines. That is what we do. Be sure, with our company you will see the results not only of your traffic growth but of profit too. At WMS, we know how to diversify your cannabis-based content and build a strong blog base. Any content should have something unique that will make it awesome and user-attractive. We choose a new approach to content marketing based on the modern era of readers. If you need, our experienced team of writers can provide you with regular blog posts. Be sure of their quality. We know all the latest ways of content innovation that are not only useful but also very efficient to keep your audience attention. Press releases are highly important, as their aim is to report a specific and brief report about the coming event, circumstance, etc. 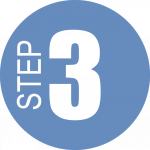 They will be tied to your brand and will be provided to media via a number of means. 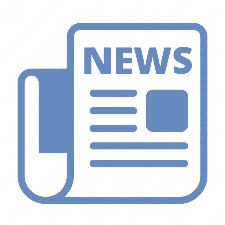 Regular publishing of press releases is a great way to improve your brand’s image. Using infographics is highly important as well as a necessary thing if you really want to grow your business. They are a graphic visual representation of information, which presents information quickly, clearly and easily. At WMS, it is not a problem to create high-quality infographics. Guest posing is one of the most important parts in SEO. For a guest posting, which is also known as guest blogging, we contribute a post to another person’s blog. It is necessary to build relationships, authority, exposure, and links. Request SEO Services for Marijuana Today! WMS is committed to seeing your success in the cannabis business. We are here to help you to establish and launch your business growth. We assist cannabis business owners to optimize facility design, standardize operations, and maximize business development. As a cannabis business consultancy, we help entrepreneurs as well as startups with entering the cannabis industry. We help those cannabis companies that are looking to grow and develop their existing business. Conversion rate optimization (CRO) is highly important for cannabis marketing. Out team of experts will do its best to provide your cannabis-based website with efficient and high-quality conversion rate optimization. It will help you to increase the percentage of the target audience of the marijuana online shop and convert them into customers. With the help of CRO process, provided by our team, you will know how the website visitors move through online marijuana shop, what actions they take and what stops them to perform the desired action and complete your goals. In comparison with traditional ways of marijuana marketing and tactics, digital marketing offers opportunities for growing to marijuana business owners. Combining digital marketing with cannabis industry expertise, we deliver best-in-class marijuana marketing to deliver our clients true organic traffic. We know what should be done in order to make medical marijuana online shop visible in search engines as well as what should be done to grow it in order to be discovered. A good marijuana marketing strategy means web-based or electronic communication between you – the owner of the brand – and your target audience. We examine weed medical shop from the point of SEO; define its weak and strong sides to know what to change in order to improve medical marijuana dispensary rankings and make it much better than the websites of your competitors. We examine our client’s website and define their weak sides, which should be improved. After the website audit, we talk with our clients and explain what should be done in order to improve their website rankings. We make agree all the details with our clients and then we start the execution/implementation of our professional cannabis marketing services. Be sure, results will not make you wait! Request SEO Services for Cannabis Website Today! If you are going to improve your existing website, then WMS is the right choice. Each client for us is of special importance that is why we do our best to ensure your website presence is on track of success. Once we have determined the features and functionalities, you want to offer on your marijuana website, we will learn the website designs of your competitors’ and we will determine what the customers like, dislike or would like to change in order to make your website design user-attractive. Have you ever thought that your website speed may be one of the reasons why the user while desiring to move to website leaves your website without being a second there? Why is it so? Because of the low speed of your website. If the user wants to order or to buy a product, it is a will at the moment. That is why the speed of your cannabis-based website should be fast in order to avoid any inconveniences to the internet users, who may become your potential customers. We will optimize your website and make it the fastest it can be! For our clients, we want to ensure only the best. To make the cannabis or cannabis-based website user attractive and desirable to visit day after day, we provide high-quality photos and videos. For a website design, we use only high-resolution photos as well as videos, as we know that the biggest success leads on the smallest details. If you don’t make your website mobile friendly, then you need to know that it will drive away a big portion of your potential traffic. Accessing websites through smartphones and phablets has become a big trend. What is more, it is more comfortable, especially if you have no time of possibility to open and do it through your desktop. Mobile users like those sites that work well on small screens of their smartphones, the websites that are easy to navigate (with the mobile-friendly interface) and load fast. 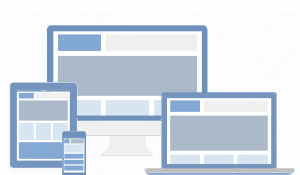 We take care of all the above-mentioned requirements in order to ensure that our clients’ pages perform well on all devices. Adding social media links will be extremely useful as well as helpful. With the help of social media buttons to well-known social media like Facebook, LinkedIn or Instagram will allow your website visitors to quickly access your social profiles. Social media is a highly valuable tool that is necessary to promote your website content. With the assistance of social media links, your website visitors will be able to share your website content with their social media connections and networks. It will allow you to expand the reach of your cannabis-based content to a wider audience as well as generate new visitors back to your website. Security is a critical feature for any website. In order to provide yourself as well as your customers with a maximum cannabis website security and protection, you have to think about all the possible ways to implement it. Our company will easily help you with it and protect your customers’ sensitive information, such as bank credentials, social security numbers and the other important information like credit card details. Advanced payment is the part of the continually due sum that is paid or received in advance for services or goods, where the balance that is included in the invoice will only follow the delivery. In case you have repeat clients, you will be able to save the credit card information for use towards future invoices and recurring templates. With help of Advanced Payments, you will able to be paid quickly. This is available with us. A Sitemap is a XML file that includes URLs of your website along with additional metadata about each of them. Building sitemap pages are necessary in order to help website crawlers to discover your pages from links within your site and from other sites. To make a long story short, it enables search engine crawlers to define what pages are present on your website, and which one was recently changed. Google’s XML format was specially designed to help search engines to find the data faster as well as more effective. Start The Complete SEO for Cannabis Store! The homepage is the most important part of medical cannabis shop. Why? These two above-mentioned factors are the most important reasons for designing a quality homepage. That is why, in order to create a great first-time impression and provide as much information about your company as possible, we spend countless hours perfecting your cannabis-based website. Your website should not only look well but also be easy to navigate for a user, who may be your potential customer. The better your website is organized, the more customers you have. Thus, if you are selling cannabis or cannabis-based products, then your goal is to promote these products. In order to do it wisely, you not only need a quality product description but also provide your customer with an easy and convenient way to find this product on your website. It is what category page means. When your customers visit your website, they want to find an answer to their question. For example, if the customer is searching for “weed edibles”, but instead is graced with 30 categories, they would rather click the back button and leave your site. In order to prevent this problem, we will manage the categories of your website and provide your website users with an as efficient answer as possible. As a cannabis website owner, you have to know about the importance of search as well as search results. All you do on your website is specially designed to attract search engines and “encourage” then to rank your site higher than the ones of competitors. There are numerous factors, which influence our search engine rankings. Our mission is to move forward your cannabis-based web page in order to make it appealing to Search Engines. 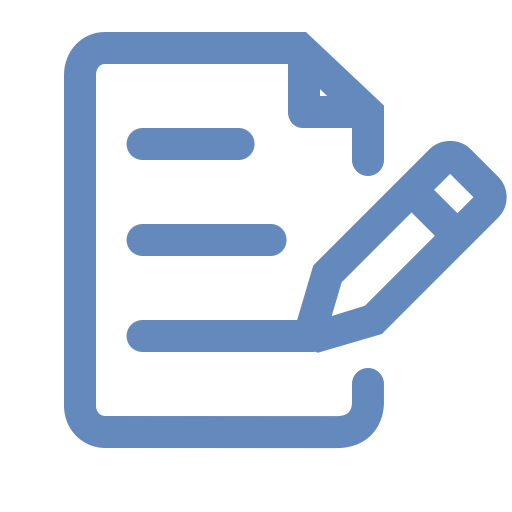 We implement keywords, keyword phrases, and quality information into your content. Moreover, in order to attract search engines, we apply engaging illustrations, photos, videos (if needed) and hyperlinks. It is what positively works for SEO and search results. The checkout page is one of those website’s elements that is frequently overlooked by the website owners. It is a huge mistake. If your goal is to increase your revenue, then you need to think about checkout page and all the possible ways that are necessary to optimize it in order to push your customers down a purchase funnel. 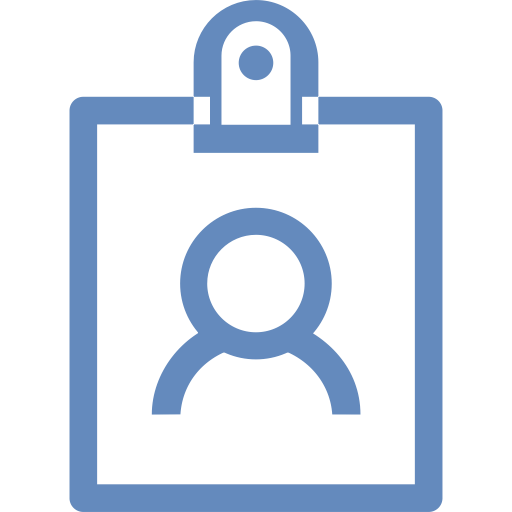 In order to do it, we will increase consumer trust with your products at the checkout page and, what is more, we will reduce the amount of the abandoned cards on the product page, in the shopping card and in the checkout page. Shipping information is frequently low on the list of priorities. The lack of its presence on your website may be one of the reasons why your consumers do not want to buy the products, which your company offers. If you do not have a good shipping strategy, then you will end up with an unprofitable business. At WMS, you will be provided with a successful strategic shipping option that will differentiate you from competitors and increase your income. Blogging you get an authority site, which ranks well in search engines. Blogging makes your website sticky because of fresh, dynamic content. Blogging is a powerful tool which helps to build community. Blogging is a great decision to express your website. Blogging is a vital part of your website development, as it is a more efficient way to promote your products than many other marketing methods do. Blogging makes your website more authority. Blogging helps your website to rank better in search engines. It is a good navigation for a consumer journey. Increases traffic and attracts more customers to visit and commit a purchase on your website. Includes high-quality and informative content that helps your customers to understand the products and services you offer. Establishes you as an authority in your industry. Can significantly improve your sailings. Has a huge influence on your SEO. It is ridiculous as well as a big nonsense to have a website without a contact information. It is a waste of resources, as without contact information search engines will never pull your site up. Moreover, it is highly important for your potential customers to get your company phone number or email. We will tailor your website page according to your company’s needs as well as will provide good opportunities for people to contact you. Business name and contact details. Kinds of personal data you collect. Why you collect personal data. Describe how personal data will be used. Describe how you share data with third party companies. 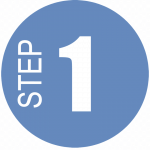 Provide the instruction on how the users can delete their personal information. 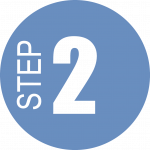 Provide the users with a deep instruction on how they can opt out of future communications. Build My Growth Cannabis SEO Strategy!